Indian Rupee (ISO code: INR) is the official currency of the Republic of India. The symbol of Indian Rupee typifies India's international identity for money transactions and economic strength. The symbol is an amalgam of Devanagari "Ra" and the Roman Capital "R" with two parallel horizontal stripes running at the top representing the national flag and also the "equal to" sign. The symbol shares some traits with other global currencies, with straight lines cutting through the letter R, but it also has its own unique look. The Indian Rupee sign was adopted by the Government of India on 15th July, 2010. 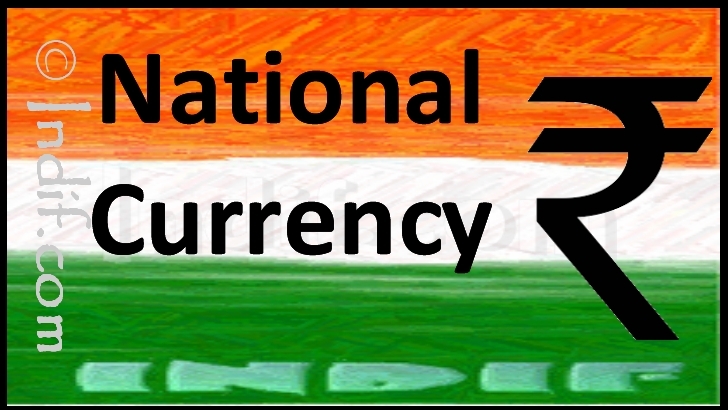 Rs or Re were the symbols for Indian currency prior to new official currency sign was chosen and adopted. New sign is exclusive one for the Indian rupee and differs from the rest countries where currencies are rupee from Sri Lanka, Pakistan to Nepal. The symbol, conceptualised and designed by Udaya Kumar, a post graduate in Design from Indian Institute of Technology Bombay. He was chosen from thousands of concept entries received by the Ministry of Finance through an open competition among resident Indian nationals.